Have you ever heard footsteps coming down the corridor or other noises while you're alone in the house? Maybe you're living with a ghost. Have you ever wondered what happens after you die? Have you wondered, hoped even, that there was more to death than dying? Without prior knowledge of previous owners or happenings, a team of mediums known as the Spookspotters investigate historic locations within Victoria, Australia. 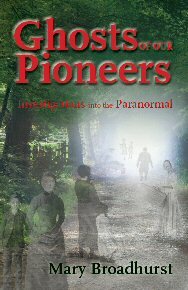 They interact with ghosts and obtain impressions while other team members collect scientific evidence. The information is analysed, researched, and findings revealed - all in the pursuit to prove life after death. The mediums share fascinating stories as they encounter pioneers who had come from all over the world and had a strong influence in Australia's growth. But it doesn't stop there. Other team members, who do not share the mediums' talents, encounter things that resist logical explanations. Copyright © 2011 Spookspotters.com.au. All rights reserved.